Scribbler 2 Spirograph Demo Code. S2 Printable Line Following Tracks. Scribbler S2 FCC Part 15 Test Results. S2 Robot EMI and Static Discharge Test Results. Robots For Beginners Workshop for the S2. 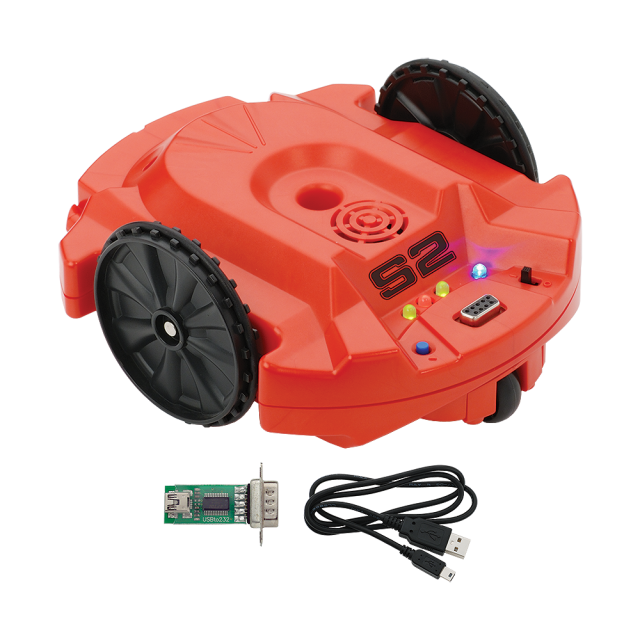 Getting Started with the S2 Robot GUI. Scribbler Robot Pen Lifter Hack Video. 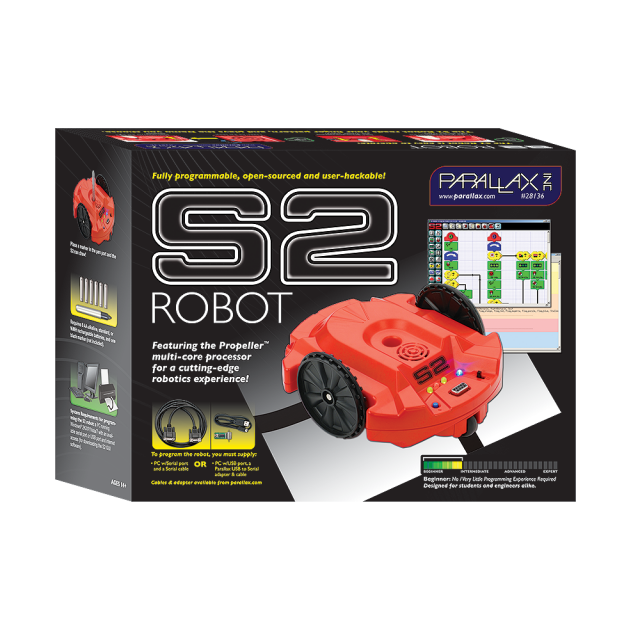 Scribble your Name with the S2 Robot. The S2 robot is suitable for a whole variety of programming skills. The Scribbler robot arrives pre-programmed with eight demo modes, including light-seeking, object detection, object avoidance, line-following, and art. Place a Sharpie marker in the pen port and it will scribble as it drives. 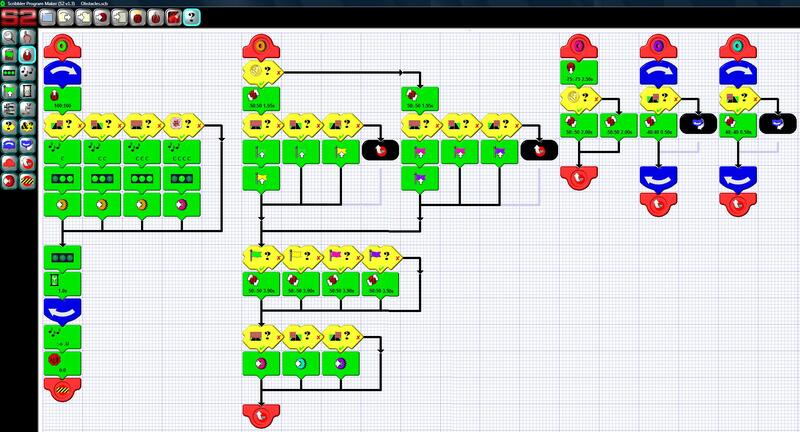 Next, use the Graphical User Interface (S2 GUI) tile-based programming tools, or modify the Propeller source code in our BASIC-like Spin language. Through the use of third-party tools you can also program the S2 on a Mac or under Linux, in PropBASIC and C using PropGCC. 8 pre-programmed play modes - Just add batteries and you are ready to starting using the robot's sensors and capabilities. Object detection, avoid objects, line sensing, draw an image, sense light, etc. Driven by the P8X32A Propeller microcontroller with eight processing cogs. 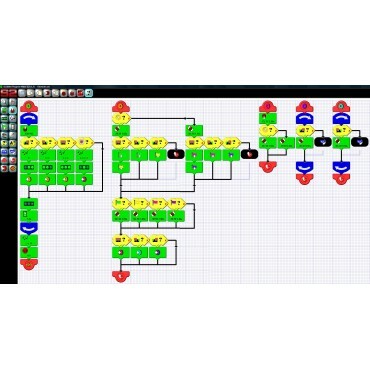 Graphical or text based programming interface. Bi-color LEDs - Provide visual feedback, show program modes, indicate line following guides. 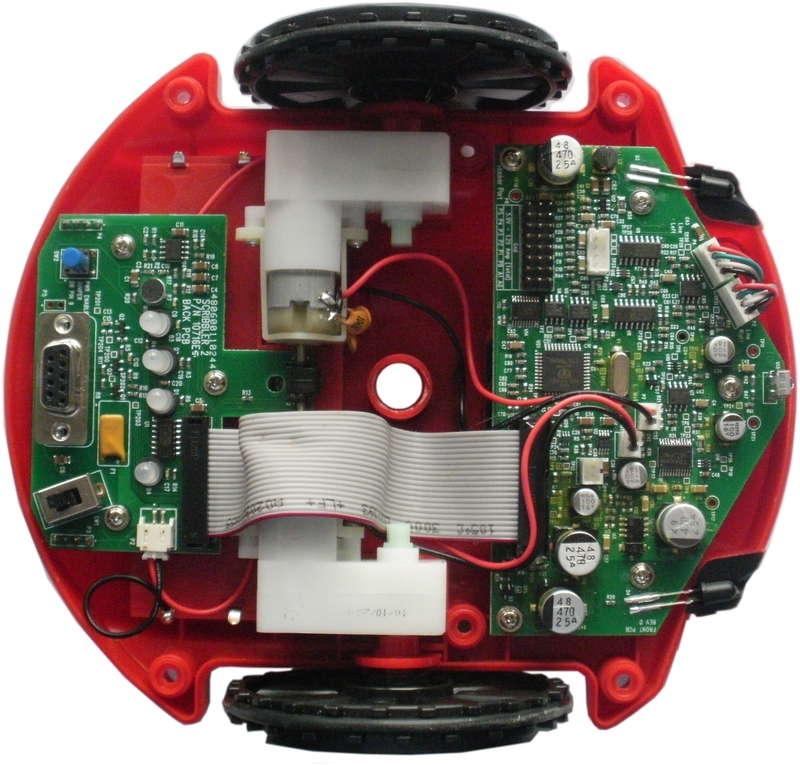 Includes two independent DC wheel motors (with stall sensors) and wheel encoders - Allows for precise maneuvering, maze navigation and distance control. NOTES: The Scribbler Robot is not a toy and is recommended for ages 14+. Parallax has obtained regulatory approvals for CE (Europe) and FCC (USA); these approvals are available in the Downloads section. The Scribbler 2 GUI is backward-compatible with the original Scribbler 1 GUI. However, coders will use Spin for the Propeller instead of PBASIC as they did for the BASIC Stamp in the S1. Our examples will make the transition easy. The benefits and flexibility of Spin in multi-core systems provides easy compartmentalization of S2 subroutines that run concurrently with shared memory. Controlling motors, managing sensors, and interfacing with the hacker port can be done concurrently even while playing sound; the Propeller makes it all possible. A Parallax USB to Serial (RS-232) Adapter with Cable or Serial Cable DB-9 Serial cable is required to program the Scribbler 2. Communication: Serial programming interface to PC. Dimensions: 7.4 x 6.25 x 3.2 in (188 x 158.8 x 81 mm). Operating temp range: +50 to +104 °F(+10 to +40 °C). The Scribbler Robot Start-Up Guide. USB Adapter & Mini USB Cable.